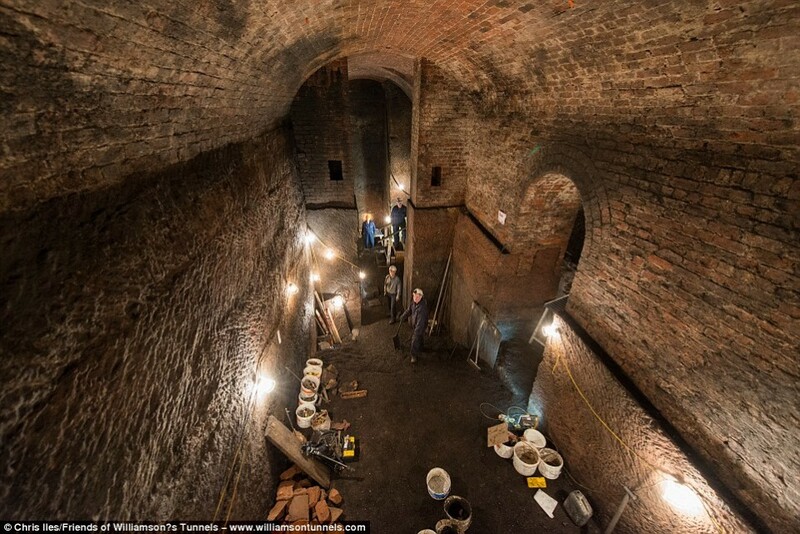 Starting in the basement of a home owned by a wealthy philanthropist in the 1700s, a network of tunnels descends into the earth beneath the city of Liverpool, their full extent still undiscovered even after fifteen years of exploration. Why did tobacco merchant Joseph Williamson start building them, and just how far do they go? Some people say they were meant to be the final refuge of a death cult in the event of the apocalypse, and the secretive nature of the tunnels don’t do much to refute that theory. There are no records from Williamson’s time to give experts any clues, and over the centuries, the portions of the tunnels that were penetrated by the public were filled with trash and debris, creating quite a cleanup job for locals working to preserve them. The twisting labyrinth was forgotten for decades before their rediscovery in 2001, and a group called ‘Friends of Williamson’s Tunnels’ has been volunteering to dig them out ever since. Known for his charity work, Williamson may have just initiated the project to provide work for the many local men who were unemployed after the Napoleonic wars. Some of the tunnels seem to have been built and then immediately bricked up. But this and other maze-like pathways that ultimately lead nowhere could also be an attempt to disguise the true breadth of the tunnel system. Of course, the most obvious explanation is that Williamson was using them for illegal activity. Smuggling has been the main purpose of similar tunnels around the world, from the drug tunnels at the Mexican-California border to the human trafficking tunnels of Portland, Oregon. It’s impossible to say now whether these particular ones carried illicit goods, were envisioned as emergency bunkers or were perhaps a part of some grand plan to redevelop Liverpool. Some believe that pits in the ground already existed – rendering the land worthless as it would support little weight, while Williamson built the arches to support the ground and allow development. much more work is left to complete. Among it they’ve found all sorts of archaeological treasures, from pipes to ceramics. Many of these are now housed in the Liverpool Heritage Center, where excavated portions of the tunnels can be toured.